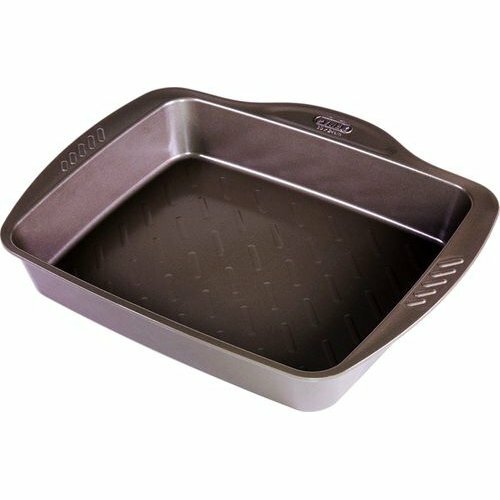 Pyrex new range Asimetria, a complete range of nonstick bakeware, a sleek and ergonomic design, and non-stick surface enhance your baking results along with effortless food release and easy cleaning. Can withstand temperature of up to 230'C. 100% healthy non-stick coating. Even heat Distribution, carbon steel. Easy cleaning thanks to rounded corners. Extra Large handle for comfortable grip to take the product in & out of the oven, a smaller support handle for safe transportation.